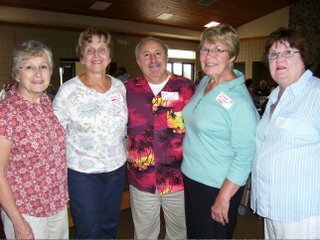 Sharon Perry Dunnigan ('74), Jerry Gallisdorfer ('71), Patty Marciniak Gallisdorfer ('74), and Denise Moll ('71), l to r., reminisced about the School's last decade. 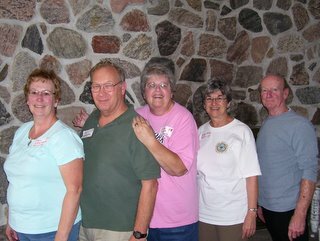 There was no prize for most siblings in attendance, but the Speyer family would have won. 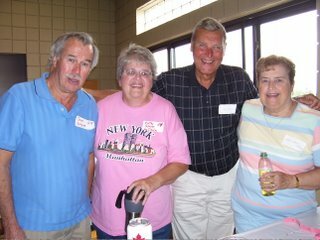 Pictured, l. to r., Jack ('58), Kathy Speyer LeClaire ('59), Jim ('52), and Helen Speyer McGrath ('49). 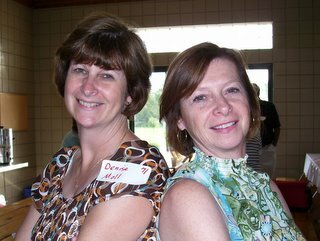 Sister Act - Denise Moll ('71), left, and her sister, Dian Moll Lewin ('69). 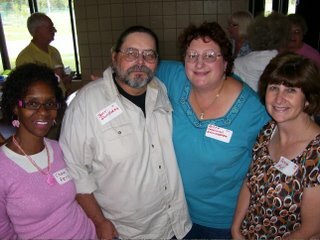 Shared childhood experiences make for lasting friendships. 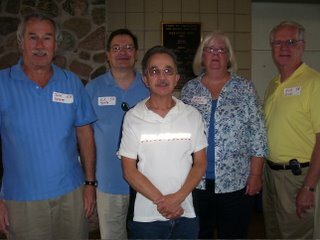 Just ask, l. to r., Jon Fox, ('60), Rose Spengler ('61), Pat McPartland ('59), Ray Spengler ('59 - P.S. #61), Jackie Ort ('60), and Dorothy Dayton McPartland ('61). 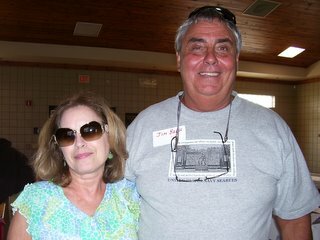 Jim Buell ('63), beat out Theresa (Anne) Green from Ocean Isle Beach, NC and Fr. 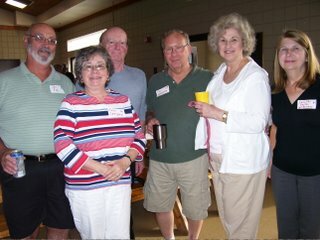 Steinwachs for the distinction of having traveled the furthest to attend the reunion. 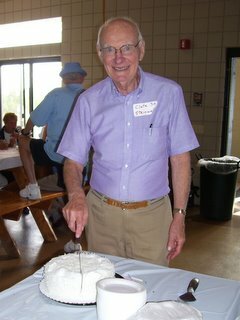 Jim won a Blessed Trinity Parish Centennial t-shirt to wear back home to Ft. Myers, FL. 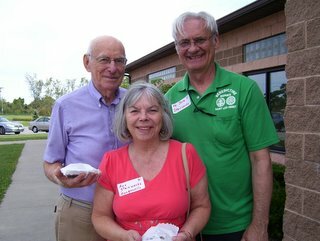 For Ed Testa ('58), the picnic provided an opportunity to visit with two-generations of the Vitello family. 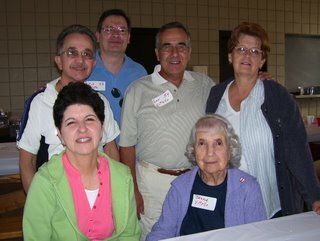 Standing, l. to r., Mike Vitello ('58), Ed Testa, Lou Vitello ('54), and Delores Vitello; seated, Carol Vitello and Jennie Vitello (Mike and Lou's mother). Two generations of the Steinwachs family also participated. Ann Manganello Steinwachs ('61), was accompanied by her brother, Rev. David Steinwachs, O.S.B. ('61), visiting from St. Leo, Florida. Fr. David blessed both the gathering and our dinner. Clayton Steinwachs ('30), was the oldest alumnus present, and everyone joined in a re-celebration of his recent 94th birthday.